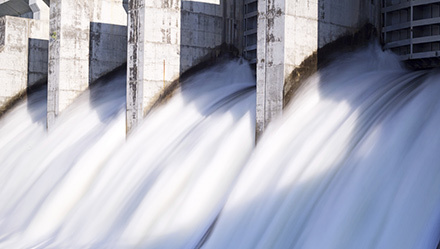 This MidSEFF client is a developer of hydro power plants in Akpinar, Turkey. The company applied for MidSEFF financing to develop a run-of-river 9.2 MW capacity hydro power plant, consisting of three turbines. The €21.7 million investment allows for the generation of 32 GWh of “green” electricity per year that corresponds to the demand of over 31 thousand households. This project contributes to reduction of greenhouse gas emissions by 17,039 tonnes per year and increases the renewable energy capacity in the Turkish power mix. The investment will be repaid out of energy generation in less than seven years, ensuring revenues for many more years. This project demonstrates the attractiveness, profitability and sustainability of the hydro power business for companies and its priceless value for the country and the environment. This way, the EBRD through MidSEFF, supports implementation of sustainable energy projects by the private sector. Together, the private, residential and public sectors can make a change in energy consumption patterns and contribute to environmental protection.